John Bell Pipeline Equipment Co.Ltd offer floating and trunnion mounted ball valves by various manufacturers from its Aberdeen stocking facility. Supplying all industries such as Hydrocarbons Explorations and Production, Chemical & Refining, Pulp & Paper and also the Water & Sewage treatment services. Carbon Steel, Stainless Steel and Floating Ball are offered in both Full and Reduced Bore, 150 – 600lb Raised Face Flanged. Manufactured as one or two-piece design they are fully compliant with international standards and Firesafe certified. Other materials such as Duplex, Inconel and other Exotic Alloys are available from factory as are valves required for Cryogenic applications. 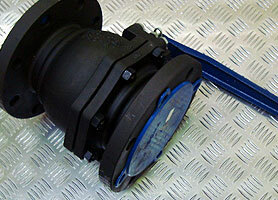 Trunnion mounted Ball Valve 150LB – 2500LB from manufacturers stock, both in Full and Reduced Bore, ANSI Flanged RF & RTJ. All materials are available and fully compliant with international standards and Firesafe certified.